The greatest boxer of our time can’t punch worth a lick. So why is Floyd Mayweather one of the greatest boxers of all time? It is because he is a defensive prodigy. He protects himself. The man is a risk management wizard. Men rise from one ambition to another: first they seek to secure themselves against attack, and then they attack others. Machiavelli and Mayweather lived by these words, and so should a winning trader. As traders we must protect our capital from those trying as hard as they can to take it away from us. Always enter a trade with a game plan. I know my entry level, target and stop before entering every trade. Adhere to strict risk management rules. The amount you risk should always give you a 1:2 ratio in relation to your potential gain. Religiously cut losses and let winners ride. Don’t settle for small wins and big losses. Always seek value when entering a position. Do not chase entries and enter as close to support levels as possible. Never risk more than 2 percent of your account on any give trade. Go big or go home does not apply to traders. When I analyze a setup, before I even consider the target and potential profit, I scrutinize how much I can lose. This is the opposite of what most amateur traders do, and is the biggest reason most traders lose money. 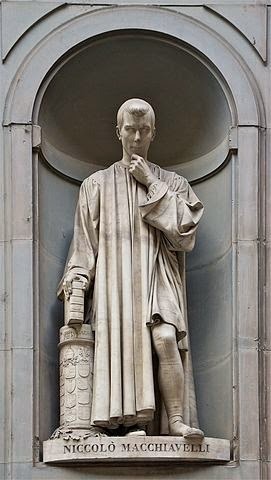 Never forget Machiavelli’s trading quote: protect, then attack.